Myth: It costs me less to repair my septic tank than pay for septic tank maintenance. Fact: Avoiding septic tank maintenance often leads to more expensive repairs. It’s easy to ignore your septic tank while it is working fine, but avoiding regular maintenance leads to costly repairs. The good news is, you only need to pump your tank every 3-5 years. In addition to pumping your tank, you should schedule a yearly inspection. A septic inspection reveals any small issues before they require a costly fix. You will also rest safe knowing your septic system is functioning properly. It is easy to forget about your septic tank, but part of being a good homeowner includes septic upkeep. Myth: My septic tank looks full, so it’s time to pump. Fact: Measuring the level of solids in the tank is a better indicator. Based on average household use, your septic tank can reach operating level in only four days. Instead, measure the level of solids in the tank to figure out if it needs pumping. If you aren’t sure, have a septic professional visit to check the solid level for you. Even if it’s not time to pump, remember to have a yearly inspection. Septic tank inspections help spot potential issues, so you can avoid costly future repairs. Myth: It’s OK if I build above a septic tank or system. Fact: You should not build above a septic tank or system. Do not build above a septic system. Firstly, building above a septic system means it’s difficult to access the tank for pumping. Without easy access, it becomes difficult to deal with emergencies and maintenance. Additionally, building above a drain field can cause your field to fail. The field needs oxygen going into the ground. Without this oxygen, the field can’t treat the wastewater from the tank. Myth: Septic systems are designed to last forever. Fact: There is no way to determine the lifespan of a septic system. On average, systems should last between 20 to 40 years. Regular maintenance and inspections increase your system’s chance for a long lifespan. This is why it’s important to keep on top of a servicing schedule. Continuous innovation means new systems are being designed to last longer. However, the best way to ensure longevity is to treat your tank right by looking after it. Myth: Pumping my septic tank fixes everything. Fact: Many septic system failures happen in the drain field, not the tank. Yes, pumping your tank is important to keep your system running smoothly. By pumping your system, you are helping to prevent costly blockage. You’re also keeping the inside of your tank in good health. However, many septic system failures happen in the drain field and not the tank. 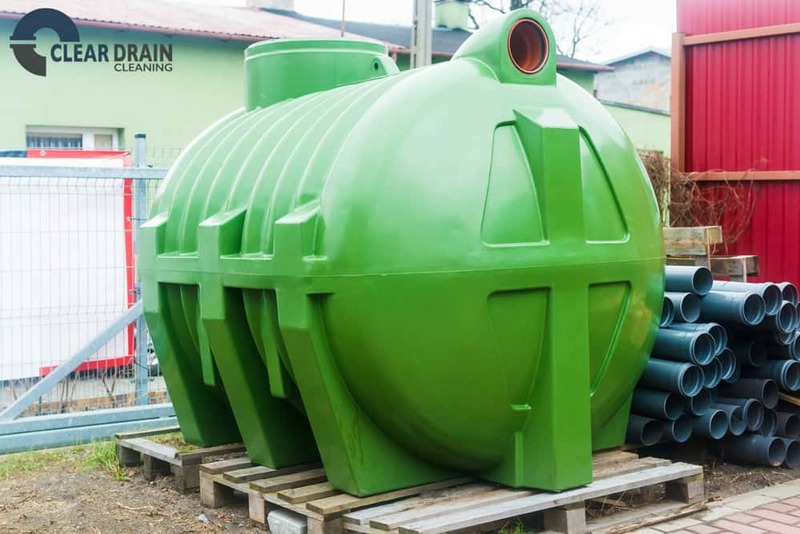 Septic tanks are designed to be a reservoir, holding 4 or 5 days’ worth of water use. The tank is there to help solid waste settle out of the liquid. Then, only the liquid travels to the drain field. If solids make it to the drain field, they cause blockage. Pumping maintenance is designed to prevent this from happening in the first place. If your drain field is in trouble, a septic expert can evaluate the situation and determined the next steps. Hopefully we’ve shined a light on a few septic myths. If you are ready for a septic inspection or maintenance get in touch! One of our professionals will be happy to assist you in the upkeep of your septic system.